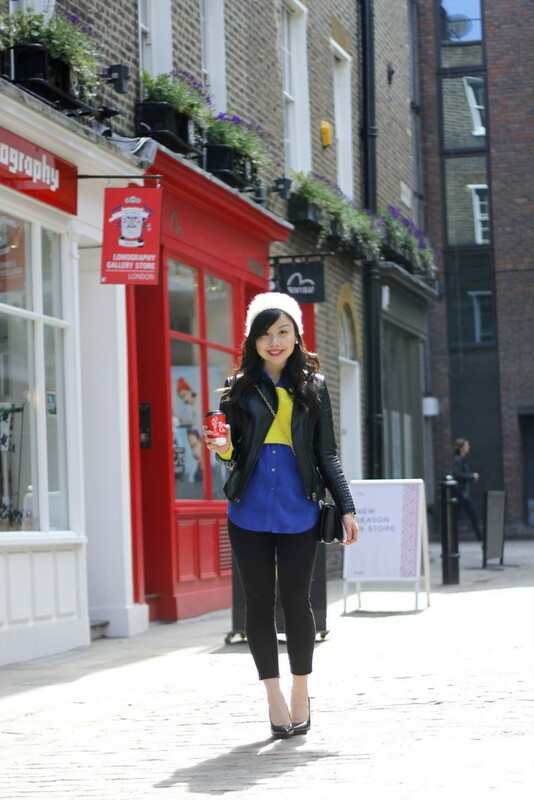 On our second day in the UK last week, we had the opportunity to check out boohoo.com‘s adorable showroom, right in the heart of London’s shopping district. It was definitely an experience getting to see an e-retailer’s merchandise in person, and I loved all of the different textures, patterns and details in each piece. In between the visit and catching our train to Manchester, we spent some time walking along Carnaby St. and taking in the beauty of the city in warm sunshine – which was apparently, as we were told, quite rare! Lovely photos! Your jacket is fantastic!! I love the combination of yellow and blue. 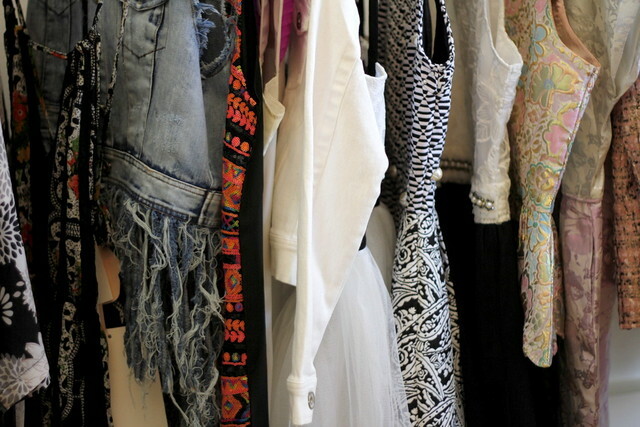 You’ve put together an amazing ensemble with different textures and fabrics. You’re already getting so much wear out of that Zara jacket – and I can see why, it’s absolutely perfect! Lovely pumps too! You look like you belong in Europe! Looks like you had tons of fun! I love how you wore the cropped sweater! This is gorgeous, Jen! 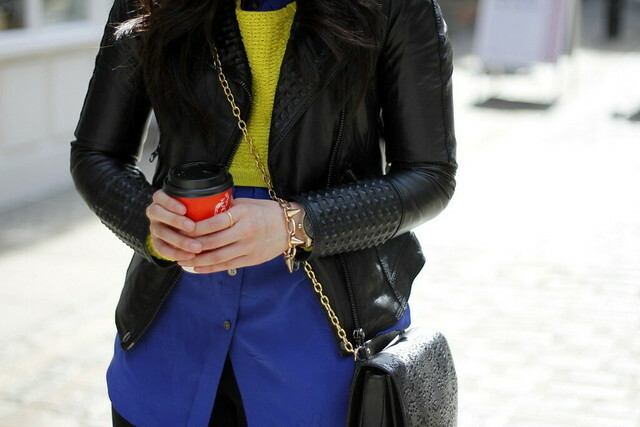 I love the way you colour blocked the cobalt and yellow, and your new Zara leather jacket seriously goes with everything.